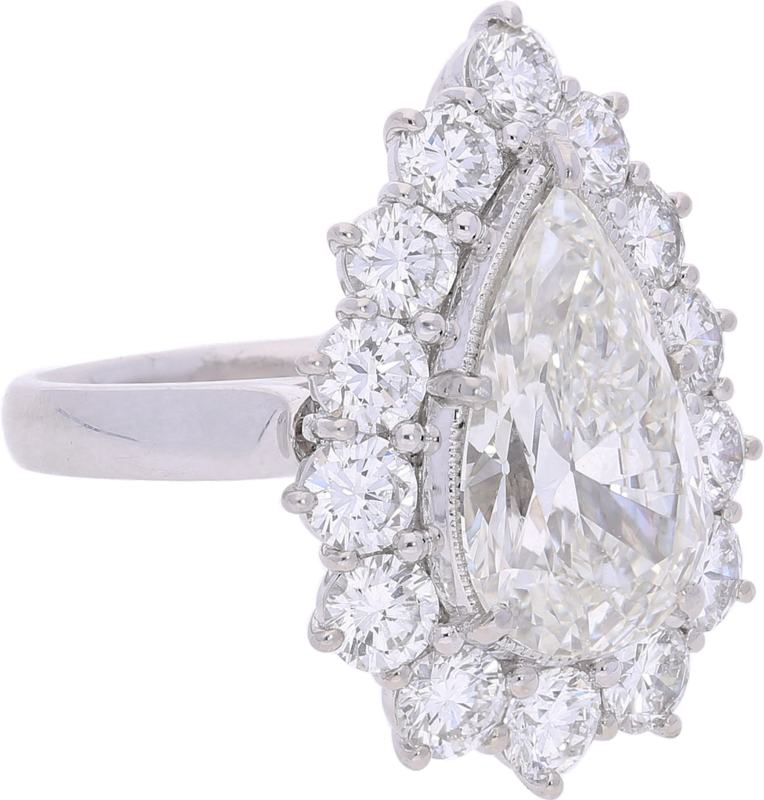 Centering a 6.01 carat pear-shape diamond, framed by round-brilliant cut diamonds weighing approximately 3.54 carats, and set in PT900 Platinum, this ring embodies flair and is perfect for the daring connoisseur. 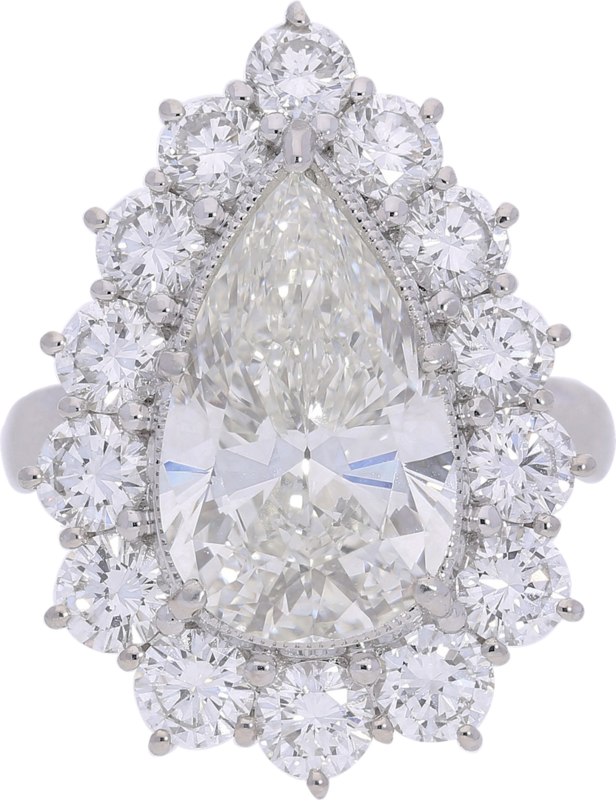 The sharp design and sheer stature of the ring captures the attention of the room. 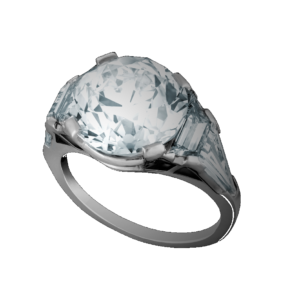 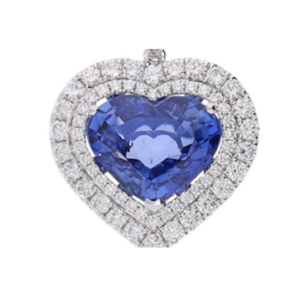 This diamond is classified by HRD-Antwerp lab to be of “”G”” color and “”VS2″” clarity.